Release Train 12/27/18 | CommentSold Help Center! Everyone had an excellent Christmas at CommentSold and hopes you did too! We ate plenty of food, got a ton of rest, and energized to make your 2019 better than ever! With that said we still got plenty of things done on the dev team, let's go over a few things our team has completed over Christmas! We've had a lot of issues with overselling issues with Shopify. It has taken a bit of research to figure out what's causing this. We've just released a possible fix that should prevent a variant from being carted if it's 0 on Shopify. This should fix the bulk of the overselling issues but we're keeping our eyes out for more. Post a request on Canny if you notice this happening again and we'll look into it. In the past it was very difficult to tell which products had synced from CommentSold to Shopify, ShipStation, and BigCommerce. We've added Order Filters to /Admin/Orders. You can currently filter out unsynced items between the three platforms. 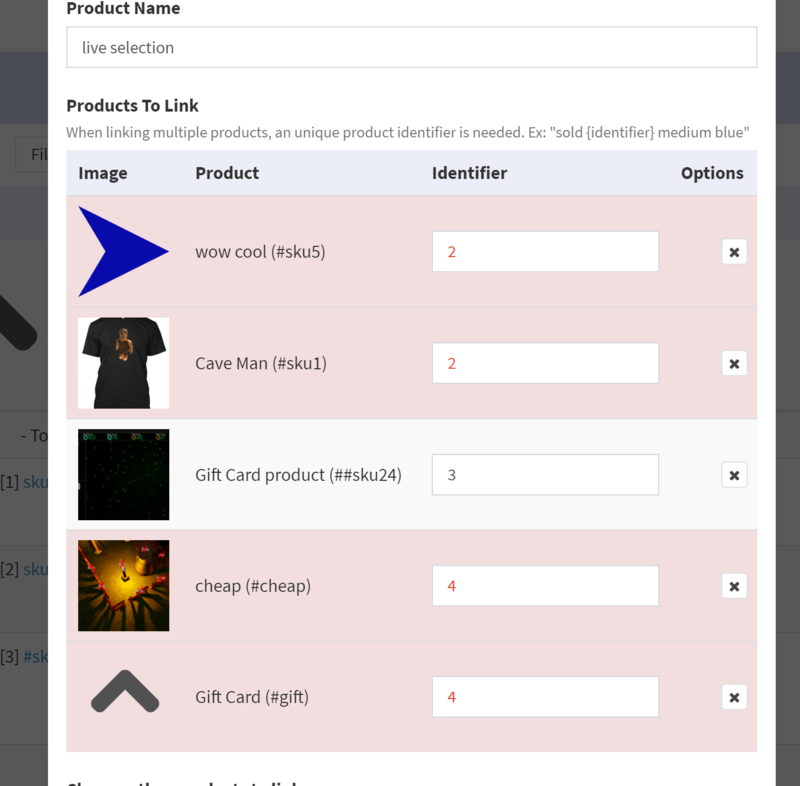 The filters will only appear if you have the related platform connected to your shop! If you add a duplicate live identifier to a selection it will now show up in red when you click "Save Products Selection." Simply give each identifier it's own value and click save again to proceed. We've had an issue where products with long titles would cause spaces in the list to be skipped. We now cut the title off at the width of each product box so the list will display nicely. Avalara: Our team has completed the majority of the functionality needed to integrate with Avalara. We're currently fixing bugs and adding the final touches. We'll have a soft release soon and eventually the whole platform. Better taxes are just around the corner! Combined Barcodes: We've launched this to a couple shops and have received excellent feedback. We'll have a few things to change before a big release but we're closer than ever! We've fixed a bug related to this functionality this sprint as well.